We host online and onsite auctions, at any area nationally and internationally, as well as out of hand sales. SA Group offers our clients a variety of services such as the auctioning of commodities, commercial development and properties, residential properties, industrial machinery and transport as well as wildlife and out of hand sales. Whatever your disposable assets may be, SA Group can guarantee an unforgettable auction or out of hand sales experience with profits. This is the auction and sales platform of the future! Our goal is simple! Relieve clients of their unwanted assets by providing an easy accessible platform online or onsite to any potential buyers. 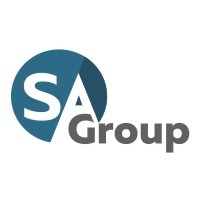 SA Group goes beyond the traditional framework of auctioneering and sales providing pre- and post- sales support as well as consultations during the entire process. As a well-connected company, each auction is guaranteed to have numerous potential buyers from all over the world. We are firm believers in marketing. Exploiting the best publications available, as well as multimedia (website, social media and internet advertising) to administer a comprehensive advertising campaign for each auction, ensuring that buyers in all sectors are reached at no extra cost to our valued client. • Professional, code honouring conduct at all time. SA Group will meet with any client, appraise the assets and draw up a proposal in accordance with needs outlining the costs involved, the time and date as well as the location and venue that best suits the client’s needs. We place great value on client satisfaction.